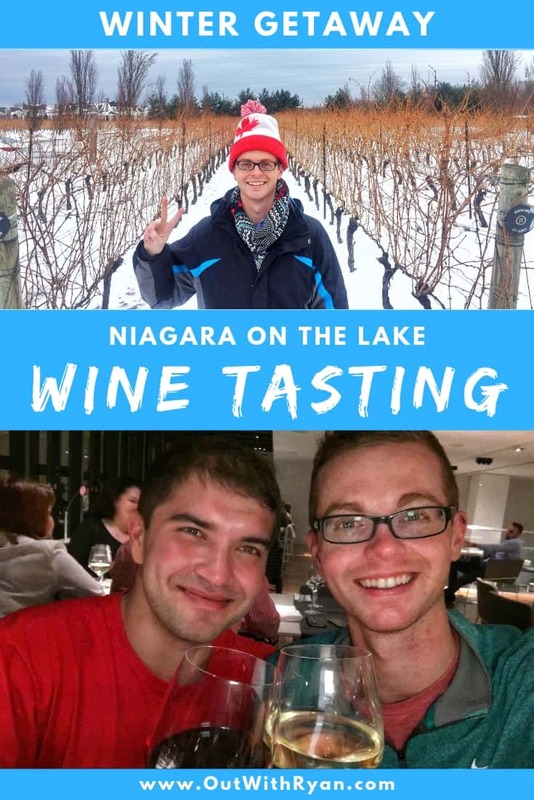 Looking for information on Niagara Falls wine tasting? Or are you looking for reasons to go wine tasting in Niagara on the Lake? Well, you’re in luck! The natural wonder of Niagara Falls is so close to fabulous Niagara wine country! Like literally a 20 minutes drive and BAM… Niagara Wineries! The best way to experience Niagara Falls wine tasting is by driving / taking a wine tour to the wineries in Niagara-on-the-lake! 5. There are more Reasons to visit Niagara-on-the-Lake than Wine tasting! The Niagara Peninsula is the largest wine region in Ontario! It’s also one of the most popular destinations for tourists and even local Canadians to spend a night or weekend! I find there’s no better way to really taste an area then to drink local wine grown in the area. 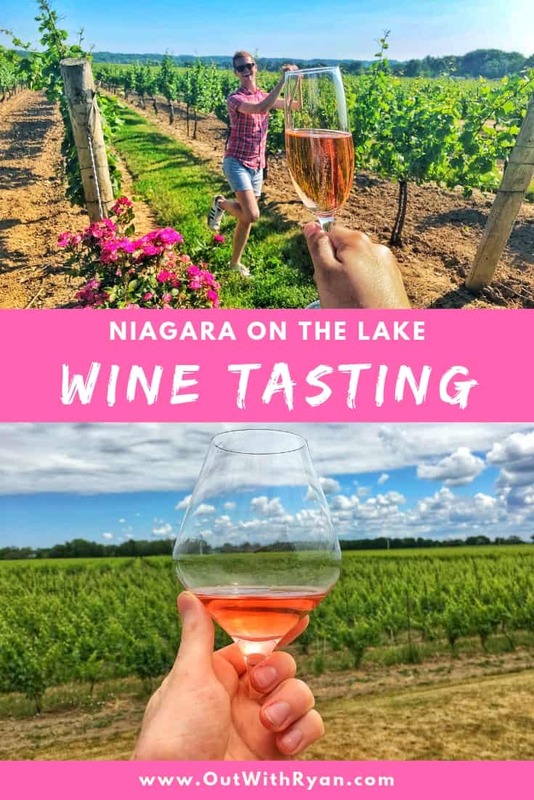 From the unique stories of how the wine is made to actually tasting the wine, your time in this Niagara region will truly be one to remember after every sip of wine & knowledge! Oh, and please remember, don’t drink and drive. There are many locally organised tours that will allow you to sample a generous amount of wineries if you don’t have a designated driver! So wine not visit Niagara wine country? 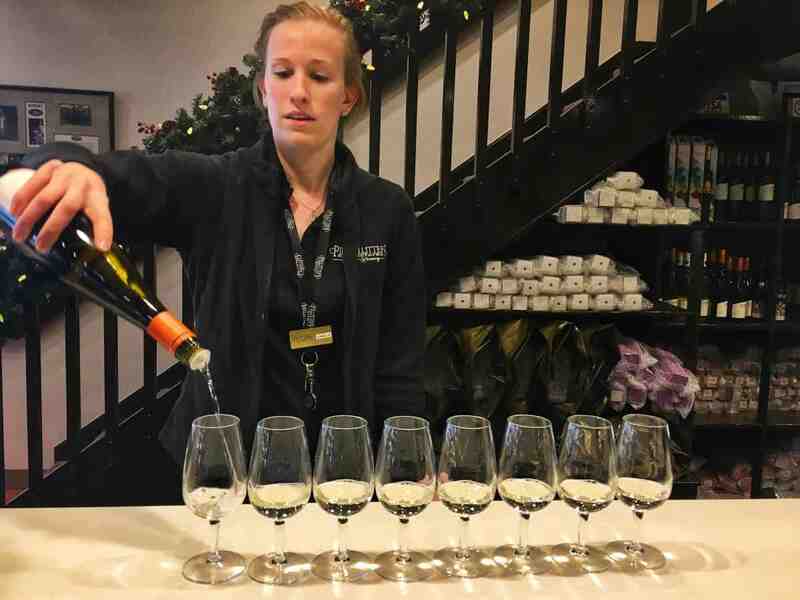 From the ice wine winter festival to wine tasting in beautiful summer weather, Niagara-on-the-lake offers all-year-round wine tasting no matter when you visit! For winter time, do check wineries online or give them a call to make sure they are open. Many wineries have special winter hours since it is low-season! 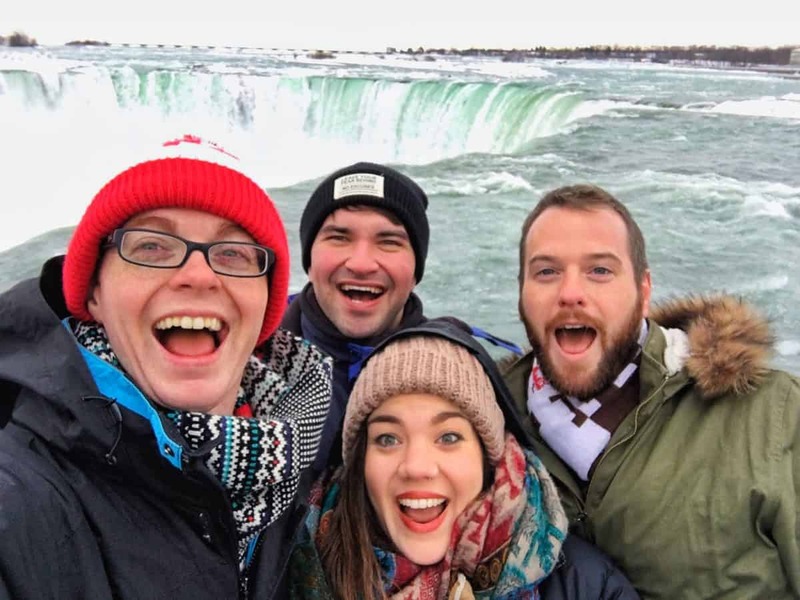 I’ve been to Niagara on the Lake every season! However, my favourite seasons to visit are in the summer and fall. The weather is so beautiful and the colours of the vineyards are stunning. Wintertime also offers ice wine tastings and romantic winter evenings. No matter when you are in the Niagara Falls area, you’ll have an amazing time in Niagara on the Lake. Speaking of romantic winter evenings. This brings me to my next point. Coming to Niagara on the Lake as a couple, or in a group of couples, can be romantic AF. No matter the time of year, wine tasting together in cosy wineries and experiencing tastings together can be a great way to connect and make memories. The summer & autumn offer beautiful views of vineyards and warm weather. Meanwhile, the wintertime offers cosy drinking wine atmospheres while looking out at the winter wonderland. Also, drinking amazing wine sets you up for a romantic evening together! So make sure after wine-tasting you grab a bottle that you love for later! There are over 20 wineries in Niagara on the Lake. That means there are over 20 opportunities to go Wine Tasting in Niagara On The Lake! All of the wineries grow unique grapes and have different wine-making methods of creating amazing wines. 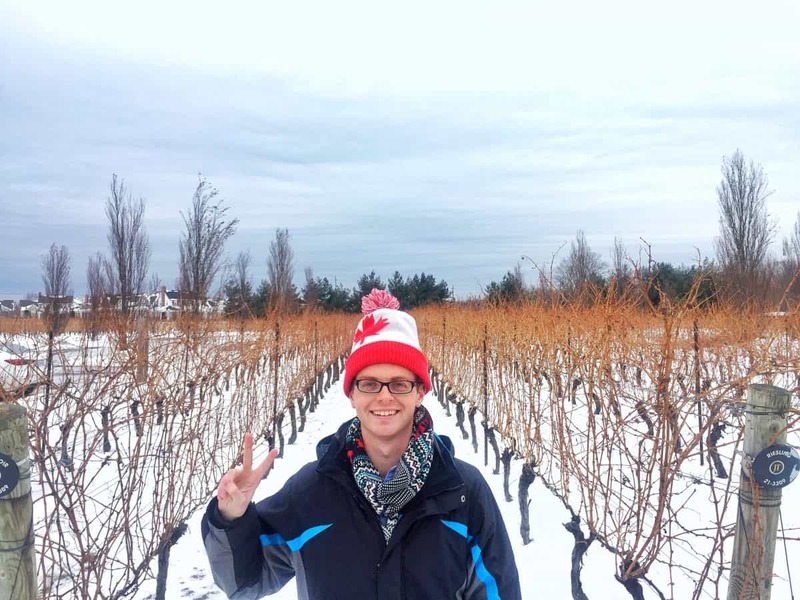 Just between us wine-lovers, here are 6 of my favourite wineries you should visit: Stratus Wineries, Pillitteri Estate, Wayne Gretzky Estates, Inniskillin Winery, Peller Estates Winery and Jackson Triggs Winery. You can also drive along Route 5 where you will find most of the local wineries. For even more local flavour, I recommend turning off Route 5, and wherever your adventure takes you, you will find other wineries. 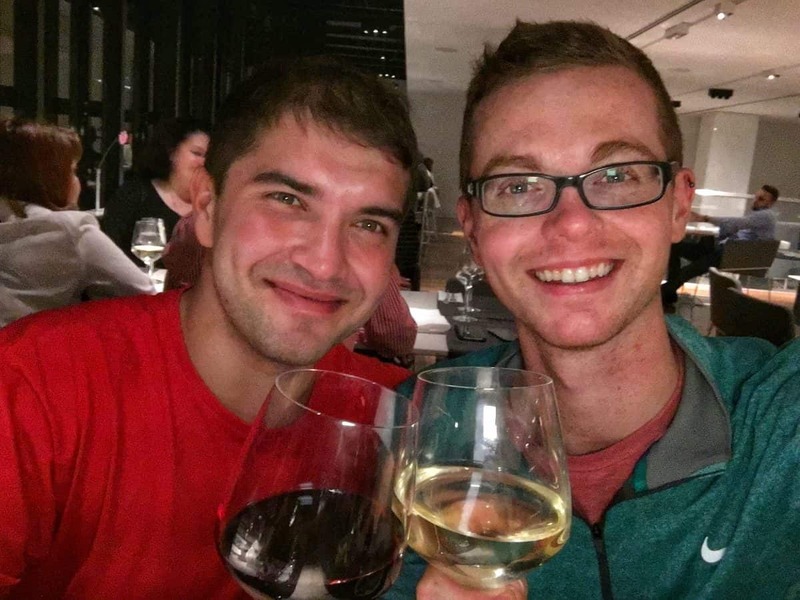 Part of the fun is discovering new wineries off the beaten path! If having someone drive you from winery to winery isn’t your cup of…wine, just remember that downtown Niagara on the Lake offers a wide range of restaurants and wine bars where you can become acquainted with local wines. 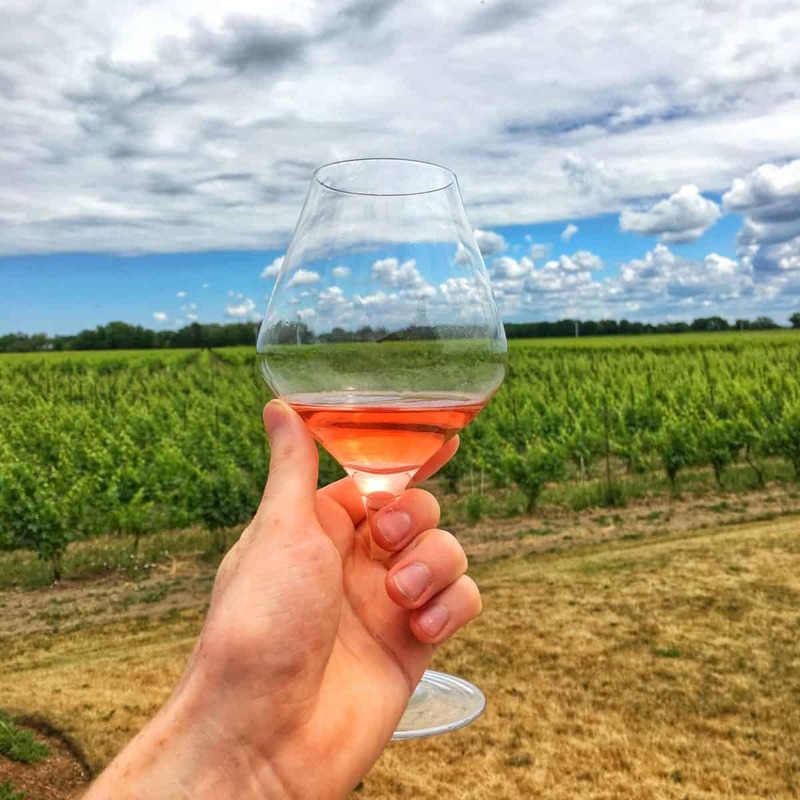 Niagara-on-the-lake has many unique attractions that are worth visiting if you’re not a wine-drinker! Not only is there little unique shops and horse-drawn carriage rides, but there are also Jet Boat Tours that take you to the rapids of Niagara Falls up close. Honestly, this is one of the wildest experiences I’ve ever done in Canada, and I’ve done some wild stuff! With Jet boat tours, you get on a powerful jet boat that takes you towards the Falls. You stop about one mile north of the falls because of a giant Whirlpool, which you will experience. It’s so much fun for those seeking an adventure of a lifetime. You get wet and they record your experience with a go pro! #Flawless I definitely recommend going on a hot summer day. All in all, Niagara on the Lake offers high-quality wines to taste in a compact location for all the wineries! The accessibility, delicious wine, and amount of wineries in a small area are the main reasons to go wine tasting in Niagara on the Lake. Niagara on the Lake is about a 20-minute drive from Niagara Falls and is a small little town surrounded by Ontario’s largest wine region. 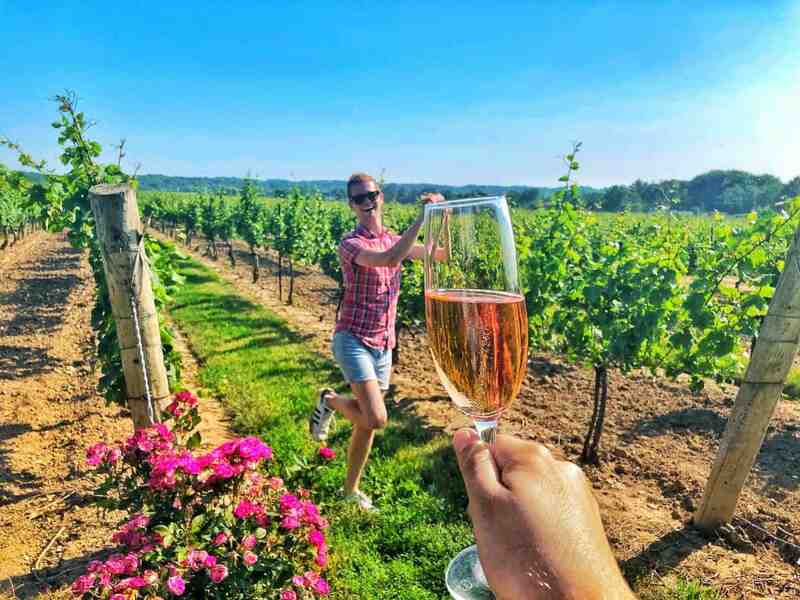 Along the drive, you’ll find local and internationally-known vineyards with over 20+ wineries to experience wine-tasting in the area as well as over 80+ along the Niagara Peninsula. 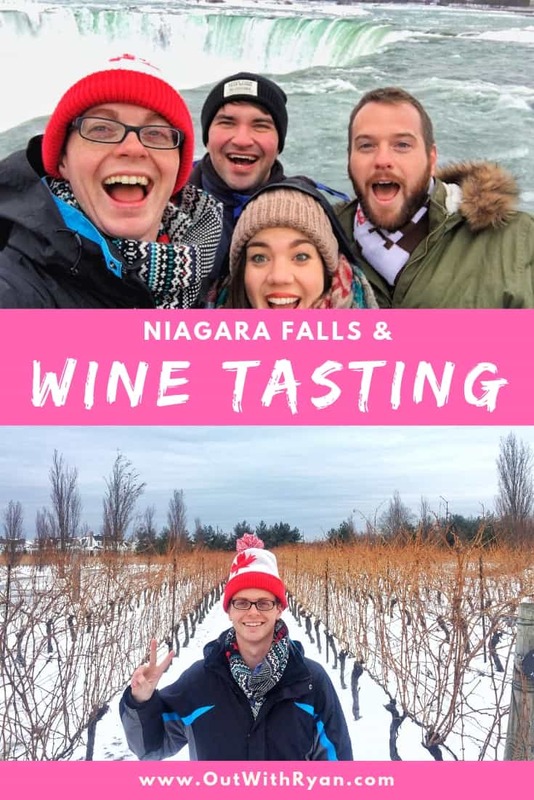 If you’re planning a visit to Niagara-on-the-Lake from Toronto, I highly recommend booking a wine tour with my friend’s company New World Wine Tours – Mackenzie & his team offer an intimate wine-tasting and gourmet experience perfect for couples! Are you planning a visit to Niagara Falls or wine tasting in Niagara on the Lake? Let me know below! 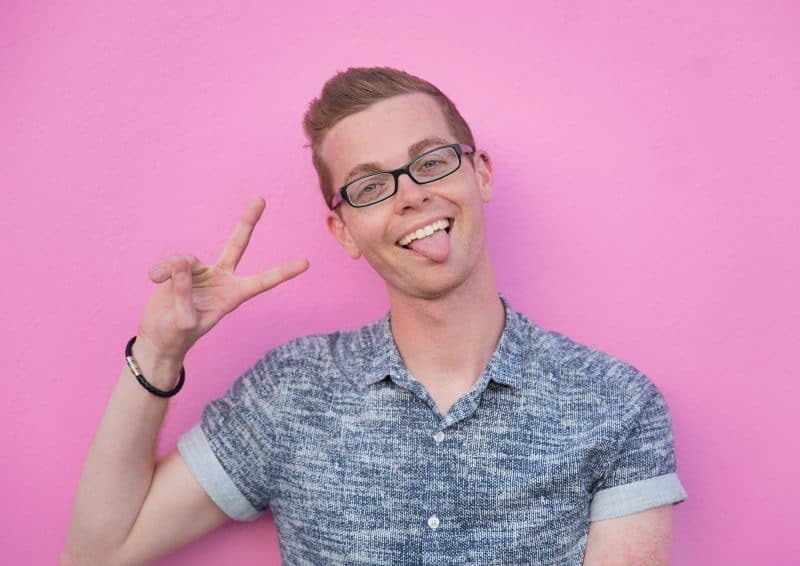 Oh Ryan, this is an amazing idea. Love to try this. Definitely add it to your bucket list! It’s one of my fave places for wine tasting!